Providing comfortable and efficient heat from below. 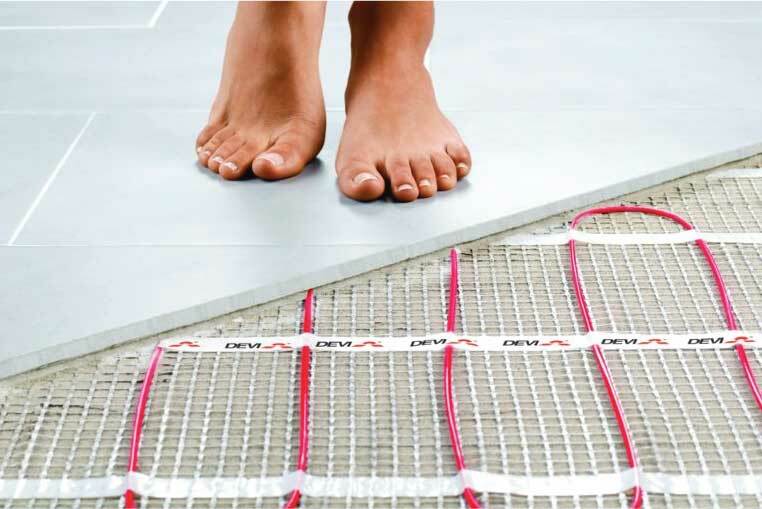 Radiant floor heating is an under the floor heating system that conducts heat through the floor surface, rather than through the air as in conventional forced-air heating systems. Imagine waking up and putting your bare feet on warm oak floor boards every morning in the winter. Radiant Heat provides warmth by circulating heated water. The most common type of radiant floor heating systems is hydronic (heat via hot water tubes), which are buried underneath the floor. Hydronic systems are less expensive to operate, so they work well for large floor areas and even entire houses. Why should I choose Radiant flooring? Radiant flooring keeps you warmer at a lower temperature. Not only does radiant floor heating keep your toes warm, but it ensures that the rest of your body will be kept at a comfortable temperature as well. Waves of infrared radiation rising from the floor warm up the building mass, insuring that heat isn’t lost to surrounding surfaces. 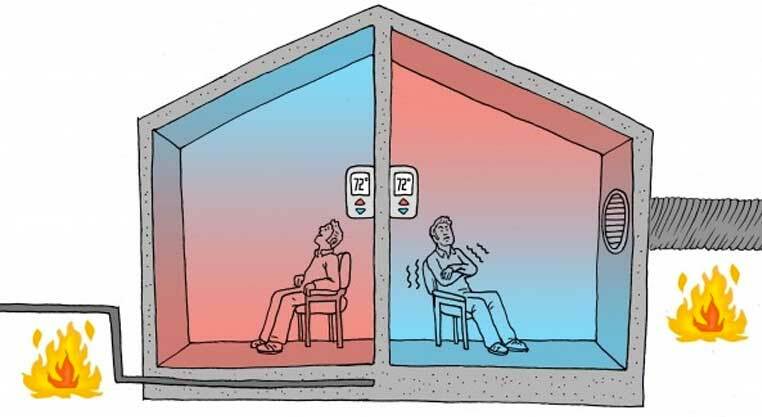 In a conventional forced-air heating system, heated air (along with dust and allergens) rises to the ceiling and drops back down as its temperature lowers, making it difficult to keep your toes warm even if everything above your shoulders is boiling. Delivering heat and comfort efficiently, what’s not to love?